The Mediterranean diet – which is largely composed of fruits, vegetables, whole grains, fish, olive oil, herbs, spices, nuts, seeds and some traditionally produced dairy – has stood the test of time for last 60 years. From heart disease and stroke prevention, to healthy weight and healthy aging, the Mediterranean diet is linked with a seemingly endless list of potential perks. Stronger Bones: According to a study published online by JAMA Internal Medicine women who ate a Mediterranean diet were slightly less likely to suffer from hip fractures. The analysis included 90,014 women with an average age of 64. Nearly 16 years later, there were 2,121 cases of hip fractures and 28,718 cases of total fractures. Women who adhered the most to a Mediterranean diet were 0.29% less likely to suffer from a hip fracture than women who didn’t stick to the diet. Younger Brain: As we age, our brains naturally shrink and our risk of having a stroke, dementia or Alzheimer’s rise, and almost everyone experiences some kind of memory loss. The Mediterranean diet is relatively simple to follow and involves eating meals made up mostly of plants: vegetables, fruit, beans and cereals. You can eat fish and poultry at least twice a week. Carbs should constitute three servings a day, particularly of the whole grain variety. A higher consumption of fish seemed to make a big difference in keeping your brain young. 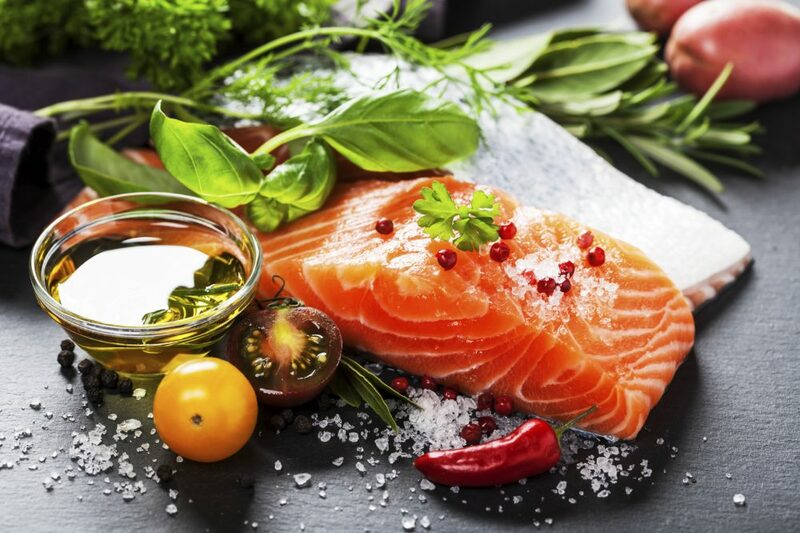 But if you don’t really like fish, scientists at Harvard and Rush University in Chicago created the MIND diet — a combination of the Mediterranean and DASH diet that may be a little bit easier to follow as it requires you to eat less fish and fruit. Lower Risk of Heart Attack: A study found that a diet high in fruits, vegetables, fish and unrefined foods is linked to a lower risk of heart attack and stroke in people who have heart disease. 15,000 people in 39 countries around the world, all with stable heart disease and an average age of 67 were a part of the study. 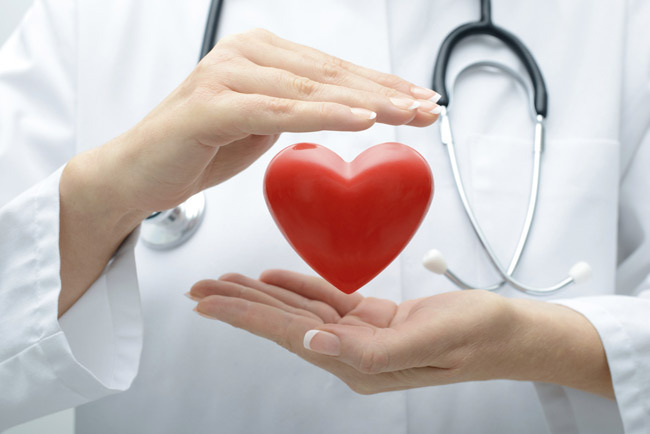 The researchers followed up the participants four years later to compare how many from each diet group had experienced a major adverse cardiovascular event, such as heart attack, stroke or death. 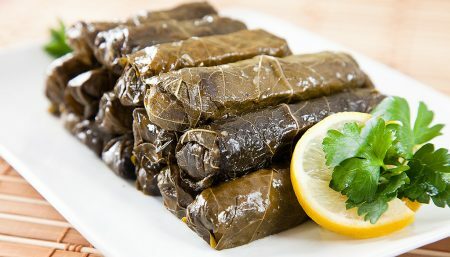 They found that for every 100 people who ate the highest amount of healthy Mediterranean foods, there were three fewer heart attacks, strokes or deaths compared with 100 people who ate the least amount of healthy foods. The Mediterranean dietis consistent with the new U.S. Dietary Guidelines and other diets, such as Dietary Approaches to Stop Hypertension, which have proved to be protective in terms of disease prevention. Living to 100: Eating a Mediterranean diet may be your key to living longer. That’s according to a study led by Immaculata De Vivo, associate professor at Brigham and Women’s Hospital in Boston and Harvard Medical School. The diet involves eating items off a menu that is rich in vegetables, fruits, nuts, beans and peas, unrefined grains, olive oil and fish. It keeps dairy, meat and saturated fats to a minimum. And you can have a glass of red wine with dinner without cheating. It found women who ate a Mediterranean diet had longer telomeres. 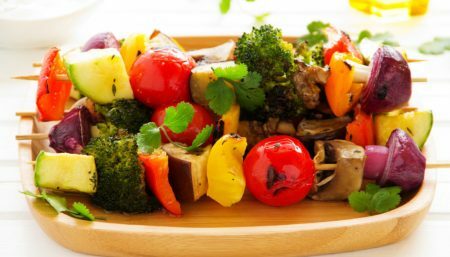 Raised total antioxidant capacity (TAC): According to the results of a study, Adherence to the Mediterranean diet is associated with total antioxidant capacity in healthy adults: the ATTICA study, Greater adherence to the Mediterranean diet is associated with elevated TAC levels and low oxidized LDL-cholesterol concentrations, which may explain the beneficial role of this diet on the cardiovascular system. 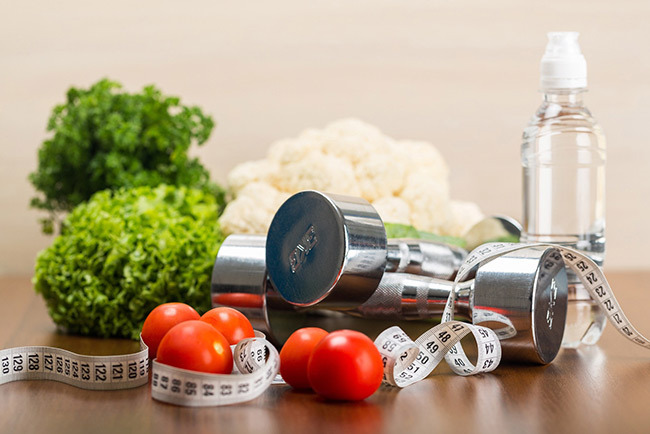 Better Weight Management: A study published in the New England Journal of Medicine in 2008, assigned 322 moderately obese adults to one of three diets: calorie-restricted low-fat; calorie-restricted Mediterranean; and non-calorie-restricted low-carb. After two years, the Mediterranean group had lost an average of 9.7 pounds, the low-fat group 6.4 pounds and the low-carb group 10.3 pounds. Although weight loss didn’t differ greatly between the low-carb and Mediterranean groups, both lost appreciably more than the low-fat group did. Eating fruits and vegetables can help with weight management. Reduction in Breast Cancer Risk by Over Half: With incidence of breast cancer increasing in recent years, lifestyle and prevention measures are more important than ever. 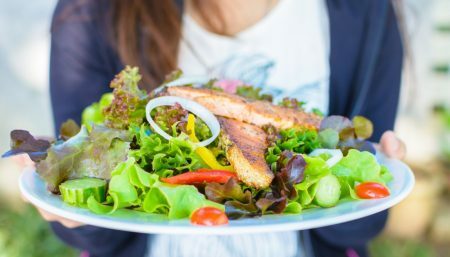 Using data from the PREDIMED study (where adults at risk for heart disease were assigned to either a low fat diet, a Mediterranean diet with olive oil, or a Mediterranean diet with nuts), scientists analyzed the eating patterns and health outcomes of over 4,200 women (ages 60-80). During the 5-year follow up period, 35 women developed breast cancer. Those in the Mediterranean diet groups were 51% less likely to get breast cancer than those on a low-fat diet. The Mediterranean diet with olive oil group was 62% less likely to get breast cancer, while the Mediterranean diet group with nuts had a non-significant lower risk of breast cancer. Minimized Risk of Endometrial Cancer: Research show that diet can play an important role in prevention. Combining the results of three large studies, Italian researchers analyzed the eating patterns of over 5,000 women in Europe (1411 with endometrial cancer, and 3668 controls) for their adherence to the Mediterranean diet. Those most closely following the Mediterranean diet were over 50% less likely to develop endometrial cancer than those with the lowest adherence to the Mediterranean diet. Additionally, researchers found that “the Mediterranean diet as a whole is a stronger determinant of endometrial cancer risk than the single dietary components,” emphasizing the importance of overall diet. Enhanced Fertility: Research findings point to a possible role for diet in fertility treatment success. 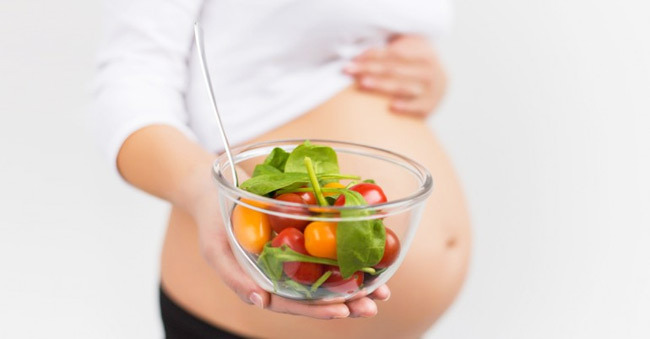 Researchers in the Netherlands found that among 161 couples undergoing fertility treatment, women whose eating habits most closely matched the traditional Mediterranean diet were 40 percent more likely to become pregnant than those with the least Mediterranean-like diets. One potential reason adhering to a Mediterranean Diet positively affects fertility treatment is the high intake of vegetable oils, vegetables, fish, and legumes – and a low intake of snacks. 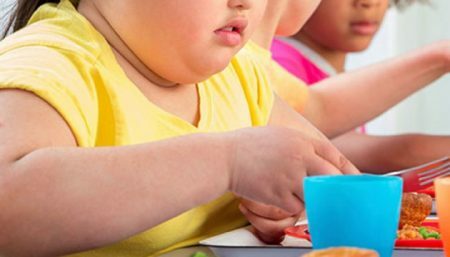 Lower Abdominal Obesity in Young Children: To fight the challenge of obesity in children this study offers some hope. To see how diet during pregnancy affects the risk of childhood obesity, researchers analyzed data from over 1,800 mother-child pairs. They found that children were less likely to have a high waist circumference (a measure of abdominal obesity) at age 4 if their mothers were most closely following a Mediterranean diet during pregnancy. However, the researchers found no significant relationship between the expectant mothers’ diet and the subsequent BMI of their children in early childhood.